An exhibition of botanical art, titled “Flora of Virginia,” opens officially this Friday, Aug. 8, at the Petersburg Public Library, 201 W. Washington St. The opening is part of Petersburg’s Friday for the Arts for August, which runs from 6 to 9 p.m. 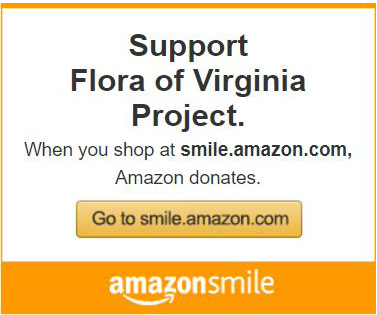 The exhibition is an outreach program of the Flora of Virginia Project, Richmond, made possible by the Petersburg Public Library, the Willcox Watershed Conservancy, Petersburg, and Addison Publications, London. The exhibition is two exhibits in one. 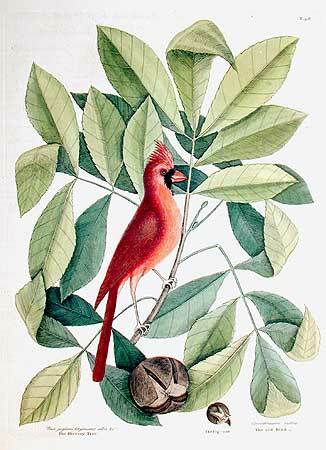 In the main gallery are displayed 16 reproductions of the watercolors of colonial naturalist Mark Catesby, which were featured (as engravings) in his Natural History of Carolina, Florida, and the Bahama Islands (published in two parts, in 1731 and 1743). Along a gallery wall in the library proper are reproductions of 14 watercolors by Petersburg’s Bessie Niemeyer Marshall, depicting plants collected in Lee Memorial Park in 1937 in a program of the Works Progress Administration. This project and Marshall’s art are chronicled in With Paintbrush & Shovel (UVA Press, 2000), by Nancy Kober. All art works are annotated with information about the species depicted, the portion on the plants coming mostly from the Flora of Virginia, published in 2012 by the Flora Project. Most of the Catesby plants and all of the Marshalls are Virginia natives. The exhibition is already open to the public and will run through September 15.